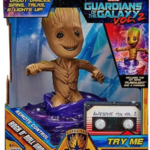 HomeAnnouncementsGuardians of the Galaxy Vol 2: I Am Groot Contest! 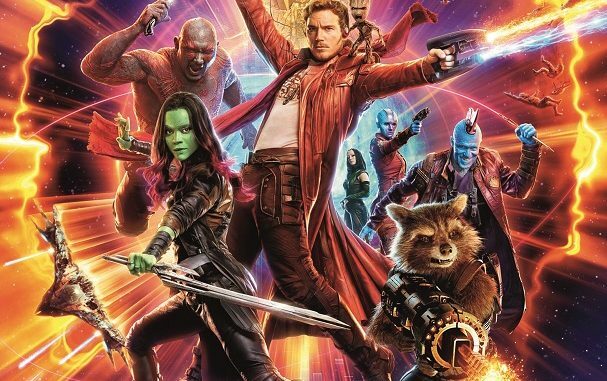 We are excited to announce that Walt Disney Studios and Marvel Studios are partnering with The Charlotte Geeks on the much anticipated upcoming release of the GUARDIANS OF THE GALAXY VOL. 2 movie opening in theaters on May 5th. An advanced screening is being held Monday, May 1st at the Regal Phillips Place at 7 PM. We will be drawing 20 names to receive an admit 2 pass to see this screening! 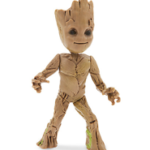 In addition – 1 participant will receive a GRAND PRIZE PACK of 2 admit two passes (for a total of 4) along with 2 Groots – a wind up Groot and a Rock n’ Roll Groot. THIS CONTEST HAS NOW ENDED! CONGRATS TO THE WINNERS! * The admit two pass does not guarantee entrance to the screening, just the ability to wait in line. Entrance is granted on a first come, first served basis. To ensure entrance, attendees should plan to arrive to the theater in advance (by 6 PM or earlier is recommended) to increase their chances. To enter – fill out the contest form below and submit before Wednesday, April 26th at 6:30 PM. 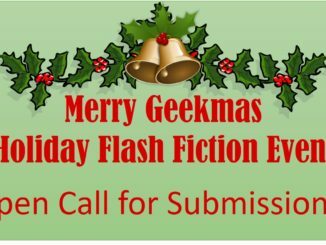 Please only submit one entry per person. Please do not enter if you cannot attend the special advanced screening on Monday, May 1st. 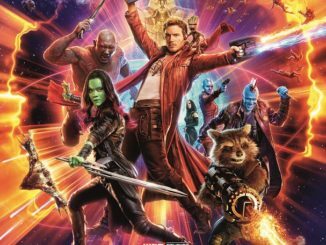 Winners will be announced live on the Guardians of the Geekery Facebook Page on Wednesday, April 26th around 7:00 PM. A link to the video feed will be posted after the broadcast. Emails will also be sent to the winners to notify them. 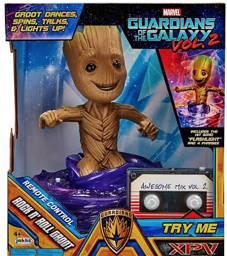 Selected winners will be awarded with one admit two pass to an advanced screening of the Guardians of the Galaxy Vol. 2 held at Regal Phillips Place in Charlotte, NC on Monday, May 1st. Participants understand that this pass does not guarantee entry to the movie if the theater is full. They are responsible to arrive at the theater in advance (by 6 PM is recommended) to increase their chances of being awarded entry in to the theater. Prizes will be handed out at Regal Phillips Place in the lobby starting at 5:30 PM (barring traffic). I am Groot. You are Groot. We are Groot.